The hardware company specializing in lightweight headsets, Plantronics has announced the availability of its new GameCom 777 Surround Sound Gaming Headset, which features Dolby Headphone technology that enables users to play PC games, listen to music as well as watch movies with dramatic virtual 5.1 surround sound effects, aiming to create a realistic, cinematic game-play experience for PC games. Dolby Headphone Technology delivering 5-channel audio experience. Plug-and-play Dolby USB sound card (Dolby Headphone and Dolby Pro Logic II technologies) is the only way to get the 5.1 experience. If needed, an analog connection is also provided. 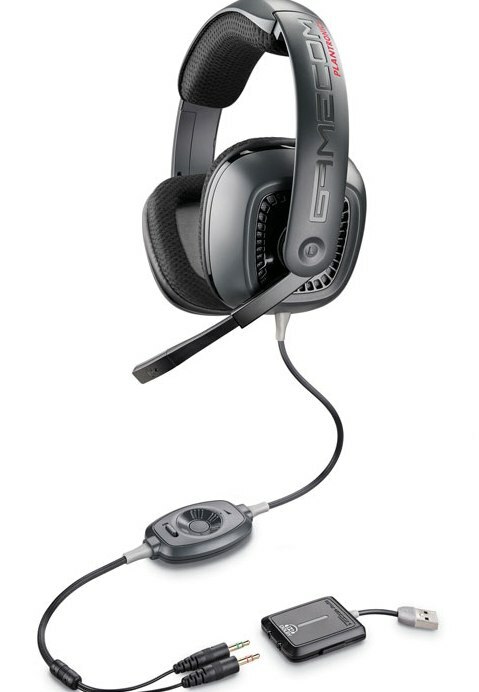 The new Plantronics GameCom 777 Surround Sound Gaming Headset is expected to hit the market in coming September for about $100.